Many Brits like to holiday with their pets. Many like to holiday with their partners too though! There are lots of jokes about people preferring their pets to their partners but joking aside, quite often when you are looking for a cottage it is essential that the property welcomes your pet as well as you. It can be more challenging to find a self catering cottage that has a hot tub and is pet friendly but it is still possible. 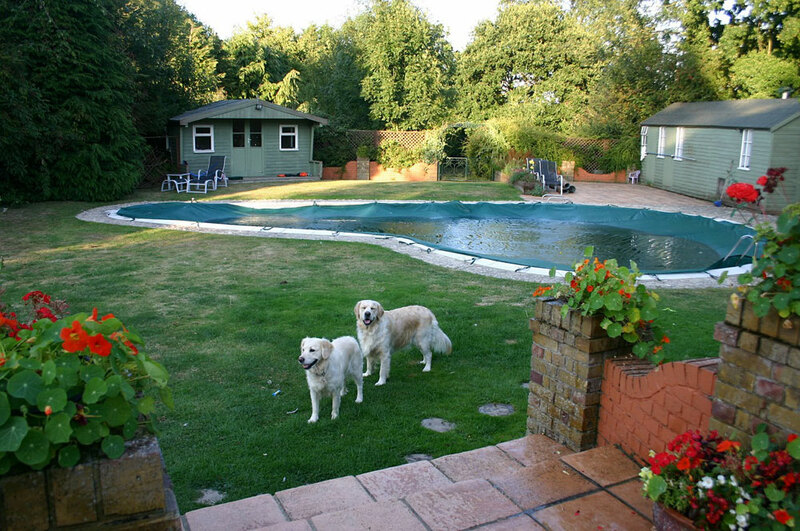 This website aims to make your search for a dog friendly cottage with a hot tub that bit easier. As always, do remember that some hot tubs will be for your own private use during your holiday whereas others will have facilities that are shared between a number of cottages. Check availability and prices direct with owners or agencies. They are happy to take your calls and advise on your queries. Some are even able to advise on good places to visit on the local area. Give them a call or email them and let them guide you. - Does the property provide added extras such as a dog bed and water bowl? - Is there anywhere nearby which is good for walking your dog? - Is there a limit in terms of the number of dogs that the cottage will accept? - Does the owner or agency make an additional charge if you bring your dog? - Does the agency or owner have any special requirements regarding the type or size of your dog? Do make your needs clear to the owner or agency so that everyone is clear and happy on arrangements before you make a booking. Remember when visiting a new area do your research. It's important when visiting a new area to find dog friendly cafes and attractions. If you enjoy visiting national trust properties remember that a number of these properties allow dogs in the grounds but obviously not in the houses. It does depend on the property though so do your research before planning what to do and see during your self catering holiday. Before going away also remember to make a plan. You may need to pack a blanket, a lead, a water bowl and a small stock of dog food before starting off for your cottage. Making a to do list can help with getting organised and ensuring that your trip is enjoyable and relaxed. Wherever you decide to stay we hope that both you and your dog have a great time. Looking for pet friendly self catering with a hot tub for relaxing times? Whether you have a labrador, poodle or a doberman we hope you find the perfect dog friendly hot tub cottage for you and your pet.